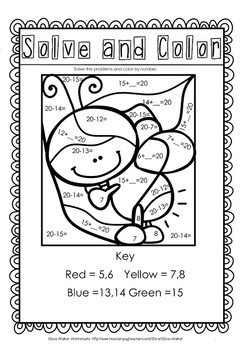 This pack contains 22 worksheets to help students solve problems that make twenty. The worksheets take several different approaches to help drill this concept in. 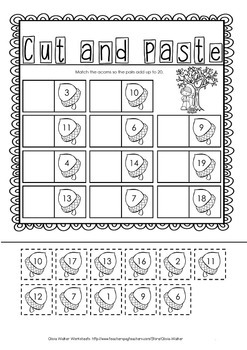 All worksheets are black and white no prep printables so you can just print and go. Details of worksheets listed below. Making 10, Making 20 Horizontal Addition - Solve the making ten missing addend to help solve the making 20 missing addend. 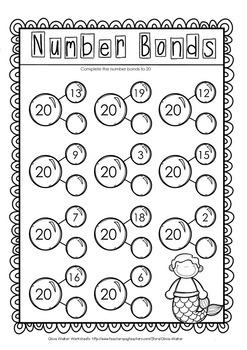 I hope you enjoy these worksheets! Click the green star beside my name at the top of this page OR at the top of my store page. Following me notifies you when I post a new item and you can get it half off for 24 hours! To see all my free products in one place click here.